YES! 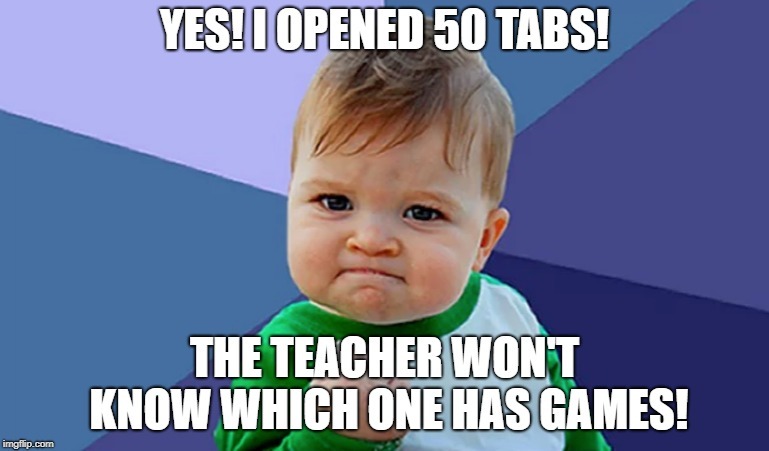 I OPENED 50 TABS! THE TEACHER WON'T KNOW WHICH ONE HAS GAMES!